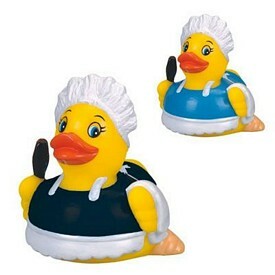 Promotional rubber ducks from The Executive Advertising are sure to fit the bill for your advertising campaign! 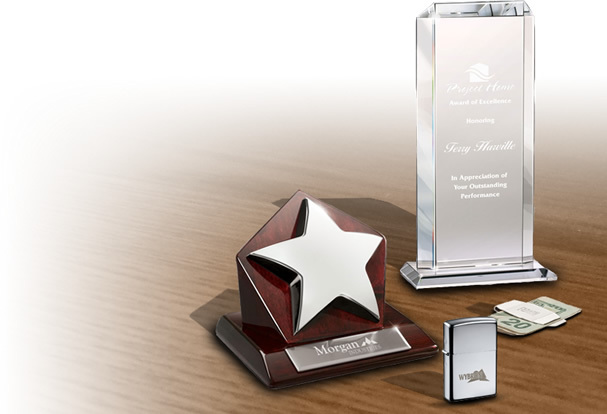 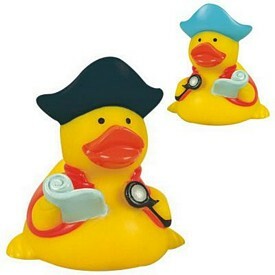 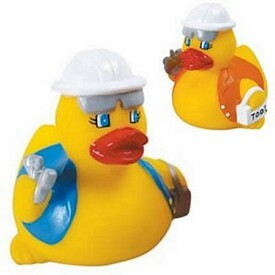 Our personalized rubber ducks can be custom imprinted with your company logo for no additional charge. 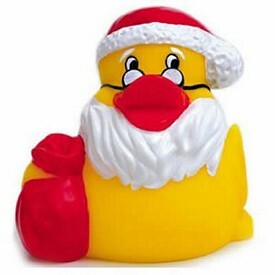 Custom rubber duckies are available to fit any industry, holiday, or event. 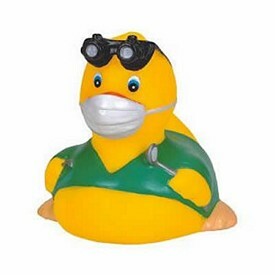 Enjoy quack-tacular savings by never paying a setup fee to get any of our promotional ducks imprinted with your company logo. 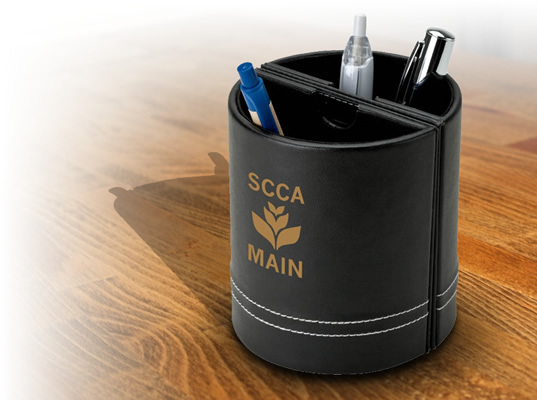 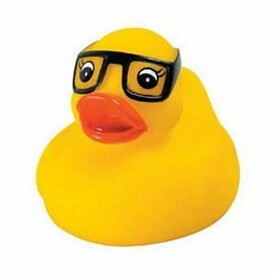 The Executive Advertising can provide you with numerous promotional rubber ducks customized with your business logo for your company’s advertising. 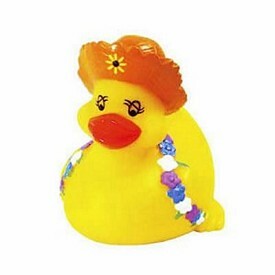 The promotional Mardi Gras Duck is a floatable yellow colored toy with balanced weight. 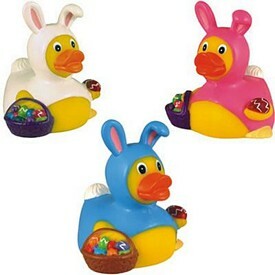 You can buy the custom imprinted rubber duck with masks in teal and pink color. 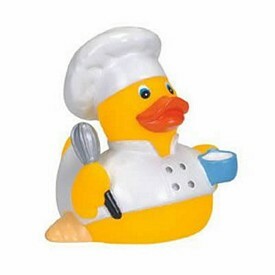 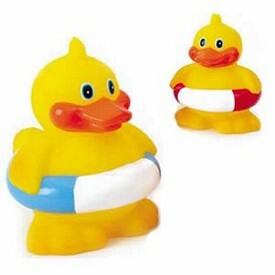 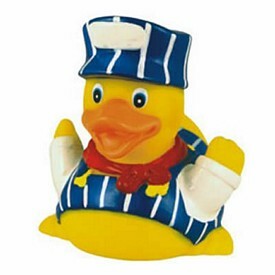 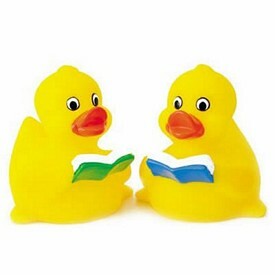 We have various branded advertising rubber duckies that can increase your company sales. 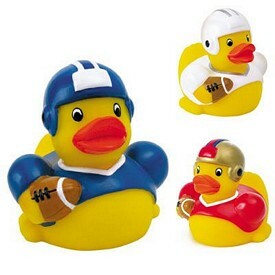 The customized Rubber football duck looks endearing carrying a football. 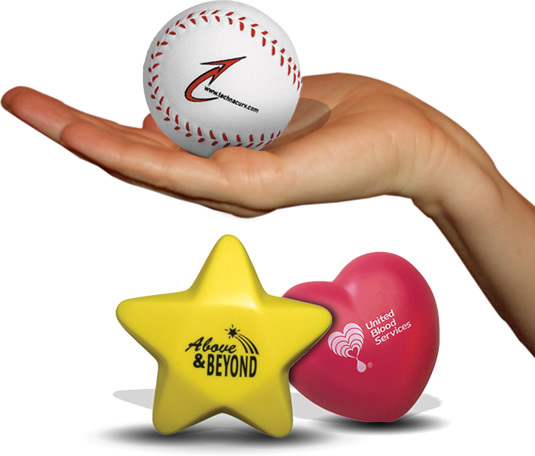 The promo jersey comes in three colors of white, blue, or red. 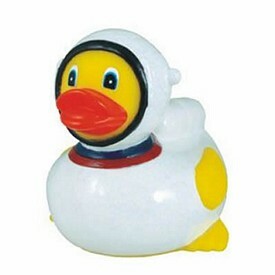 There is a matching helmet with a white and blue jersey. 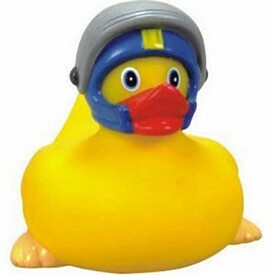 We give a golden colored helmet with the red jersey. 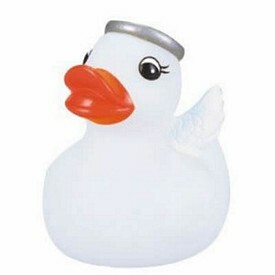 The customized golden helmet will have red and blue accents on it. 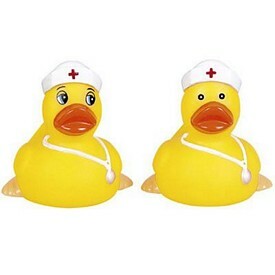 Every detail of the promotional floatable duck has been kept in mind starting from the white trim of the brown football to the white neckline of the jersey. 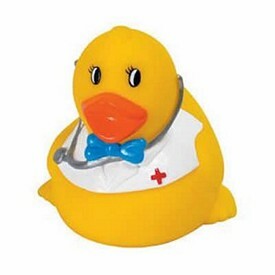 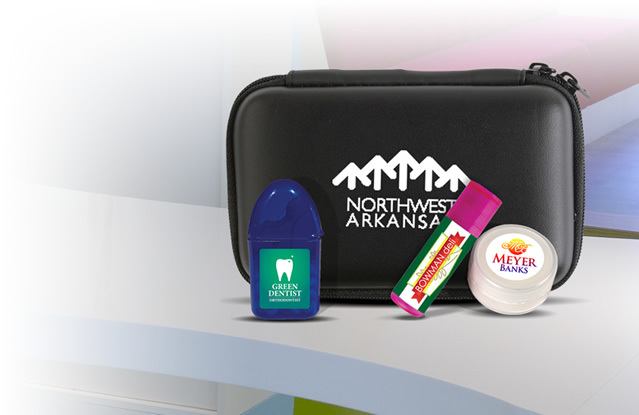 The customized rubber duck is an ideal promotional item for all ages. 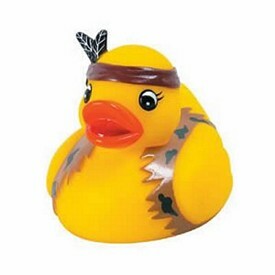 The custom body of the floating duck is designed as a brown football with traditional. 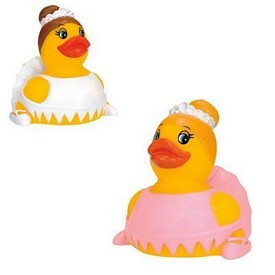 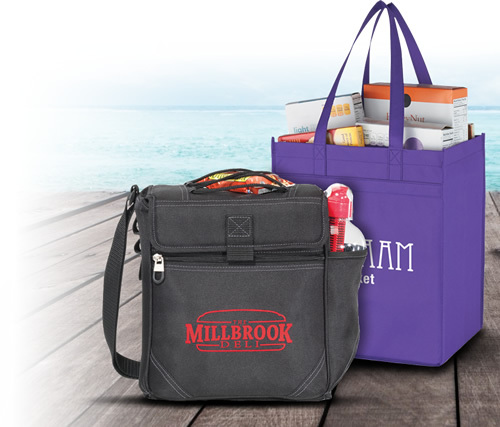 We provide free one color logo imprint on the chest of the duck, free artwork eproof, and free 24 hour rush service. 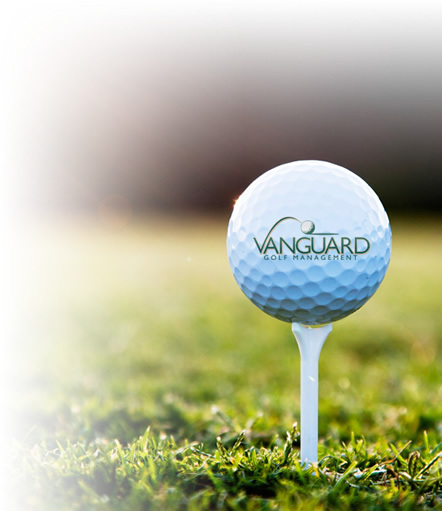 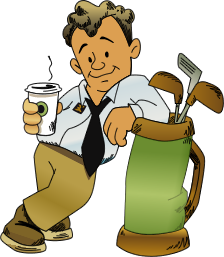 We do not charge set up fees. 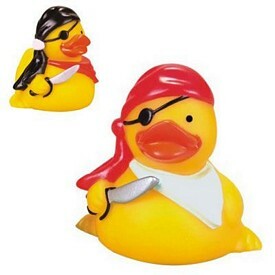 The promotional derby ducks will bear your company logo for free. 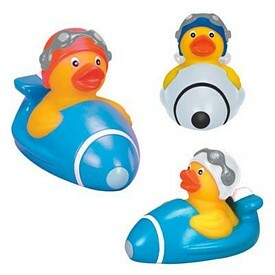 The logoed rubber derby ducks are used in rubber ducky racing all around the world. 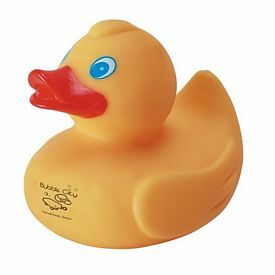 If you are looking for an exquisite promotional rubber duck for a basketball promotional event then you can either opt for the basketball shaped rubber duck or the rubber basketball imprinted ducks. 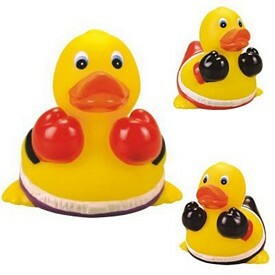 The promotional basketball shaped rubber logo duck is designed like a basketball with an orange body and black stripes. 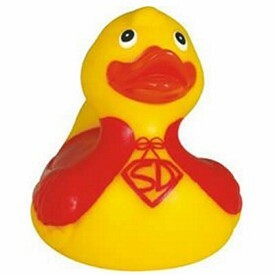 The customized imprinted rubber duck will have the company logo on the chest. 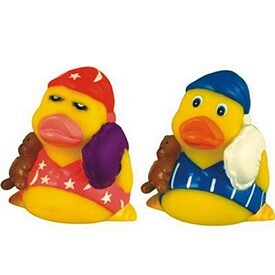 The customized sports rubber ducks will be produced with a free 24 hour rush service. 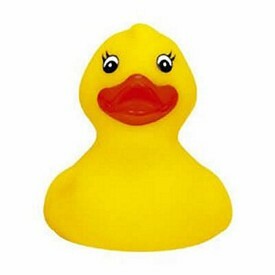 The custom rubber basketball ducks are yellow and are available in different jersey colors like green, red, blue, or white. 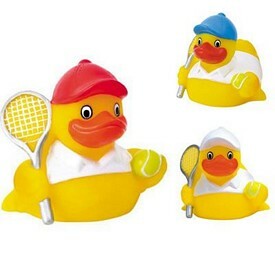 The promo tennis rubber duck is fun to watch floating on a pool of water. 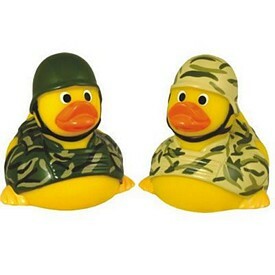 The custom ducks have a tennis racket and a tennis ball with them. 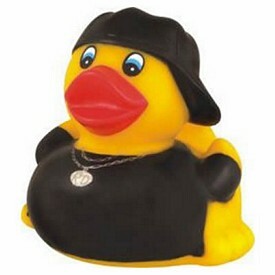 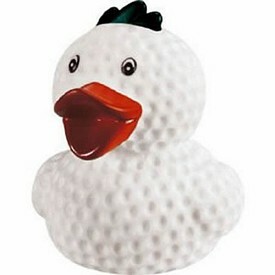 All the branded tennis rubber ducks wear white jerseys though the color of the cap can be different like blue, red, or white. 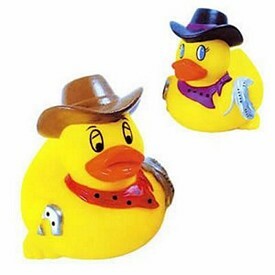 The logoed casino rubber ducks have dice and cards with them. 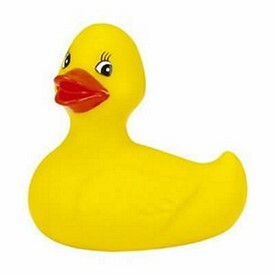 The promotional rubber ducks will wear either a blue shirt, white shirt, or gold shirt. 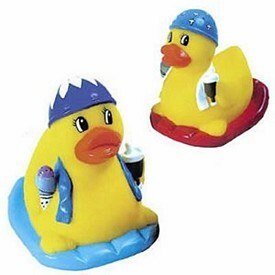 The exciting customized rubber hockey ducks float easily on water. 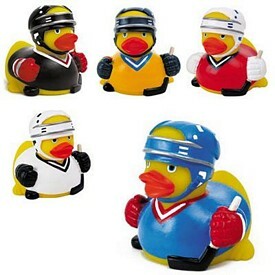 The colorful hockey ducks wear white, blue, yellow, red, or blue shirts. 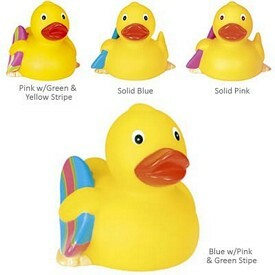 All the shirts have necklines that are colored in contrast colors. 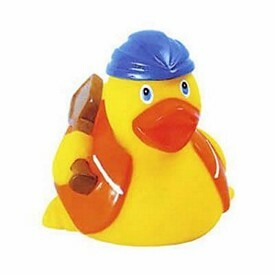 The promotional ducks wear a helmet and carry a hockey stick for duck advertising. 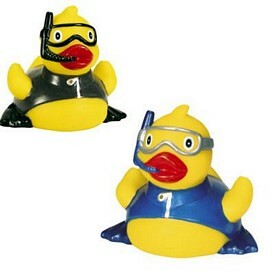 The custom firefighter duck looks marvelous with the firefighter suit and the helmet. 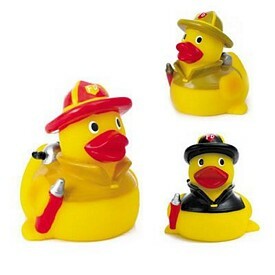 The size of the promotional firefighter ducks is 3" x 3.25" x 3.5". 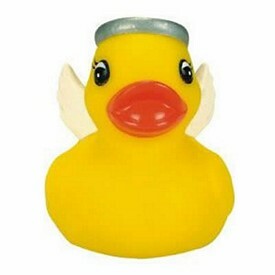 The promotional angel duck has a silver halo on its head and silver wings attached to its back. 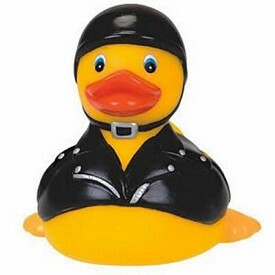 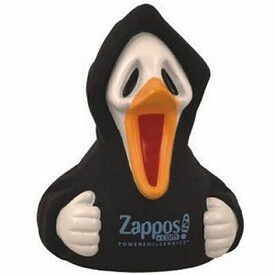 If you are looking for a promotional evil duck then you might have to look at our vampire duck. 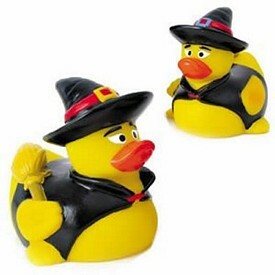 The customized vampire duck has been designed excellently with a black coat, black hair, and two white teeth protruding from its red beak. 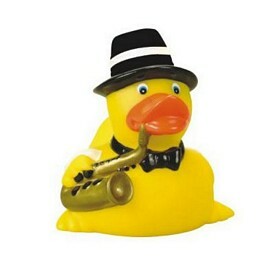 All of our customized rubber ducks are great for corporate gifts or tradeshows.